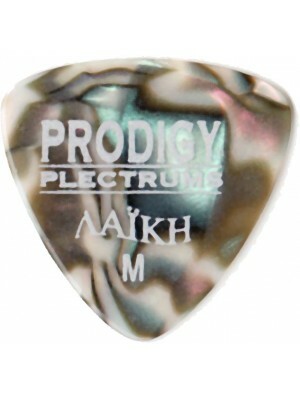 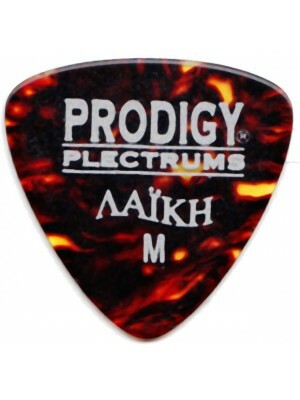 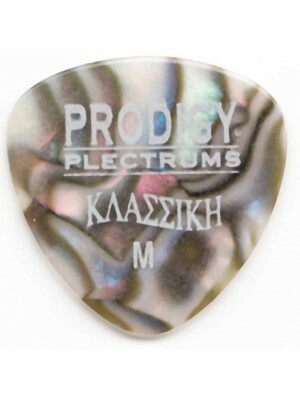 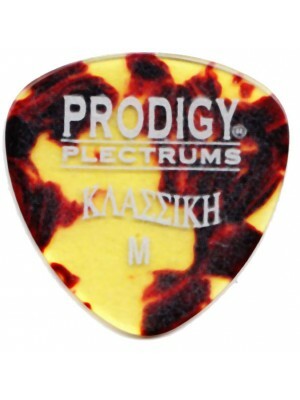 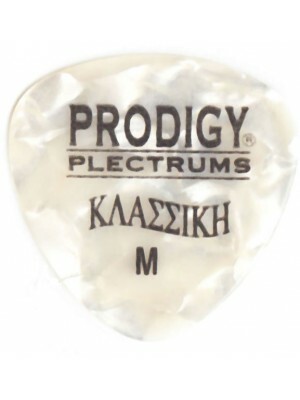 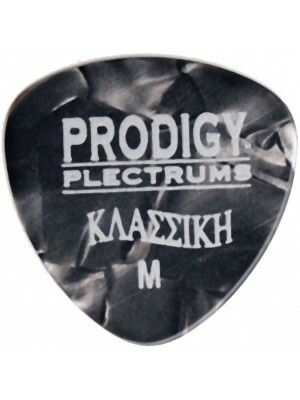 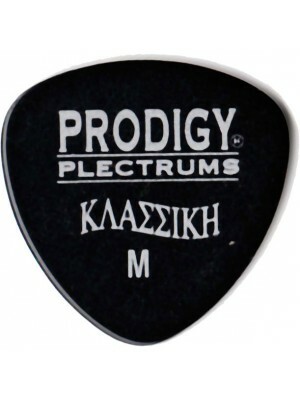 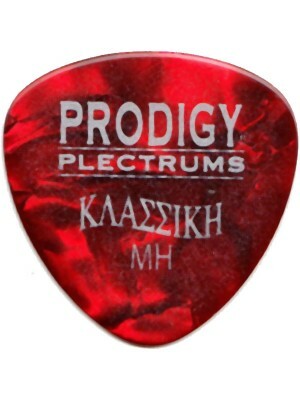 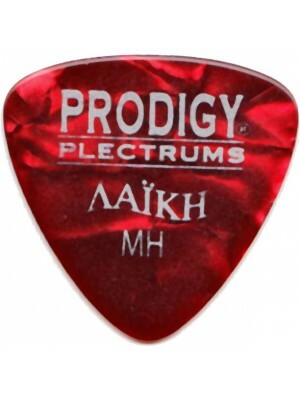 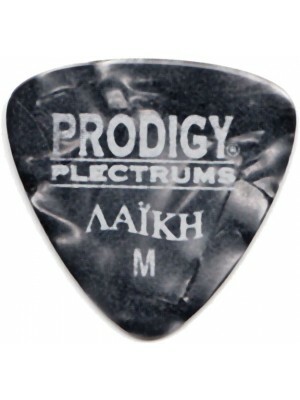 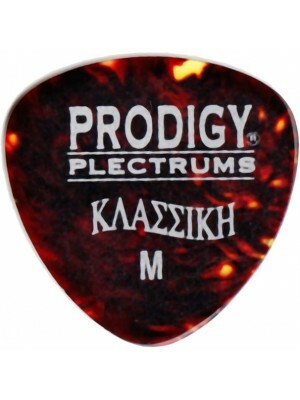 Prodigy Audio Systems was founded in the UK in 1992 by Lenios C. Demetriou with the sole purpose of designing and manufacturing products specifically for the Bouzouki, Tzoura and Baglama. 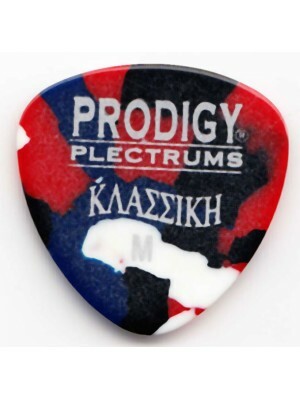 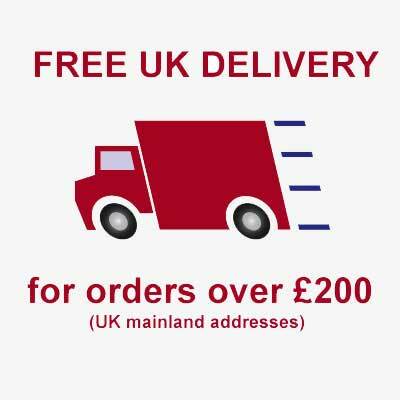 Prodigy Audio Systems products are distributed throughout the UK, mainland Greece and islands, Cyprus, USA and other parts of the world. 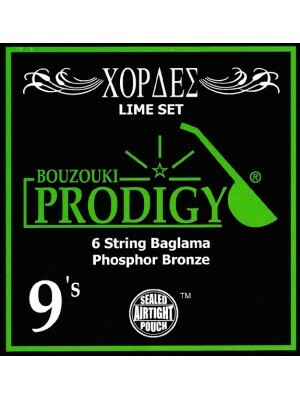 For many years Bouzouki players worldwide were using strings, pickups, straps etc. 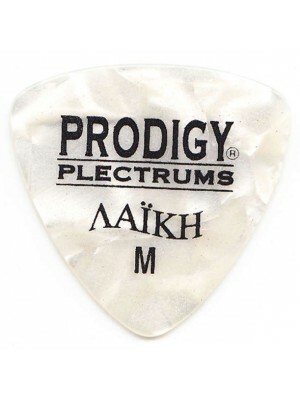 which were originally made for other instruments such as the guitar and saxophone. 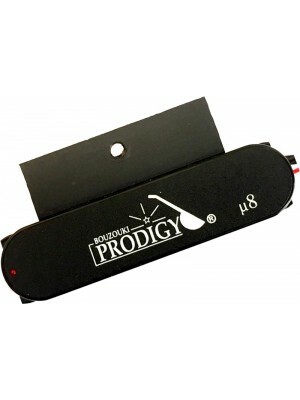 Prodigy Audio Systems Ltd has changed all that! 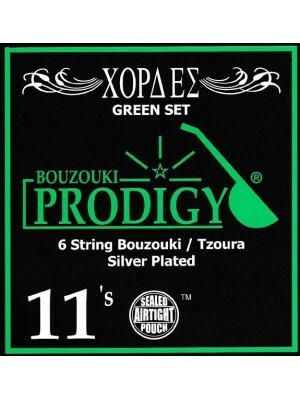 When looking for very high quality performance from your Bouzouki, give it what it deserves; look to Bouzouki Prodigy, the only brand created for the Bouzouki. 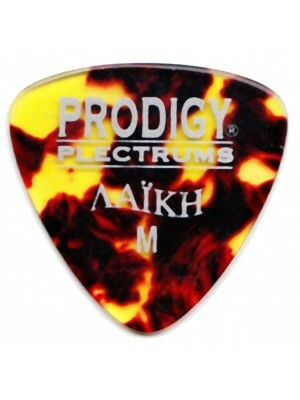 Selecting the perfect set of strings for your instrument depends on various factors. 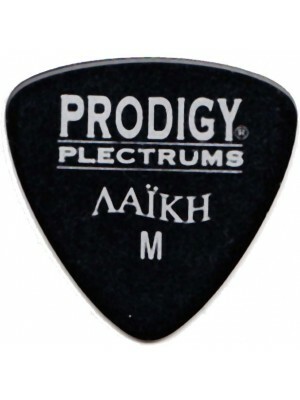 How the neck and action (height of the strings) of the instrument is set up and what feel and sound you prefer to have with your instrument etc. 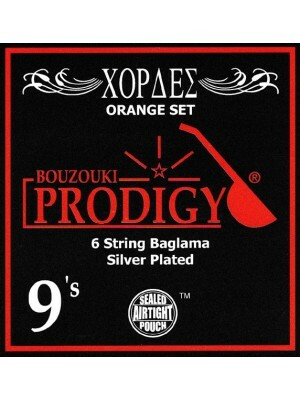 Silver Plated wound strings produce a warm, smooth and vibrant rich sound. 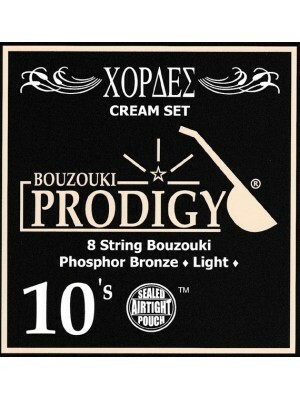 Phosphor Bronze wound strings produce a bright sound to begin with which mellows down to a smooth, punchy and dynamic sound. 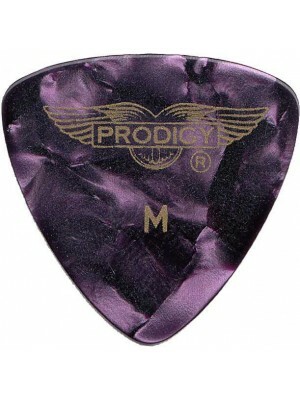 The chart below will help you choose the perfect set that is right for you. 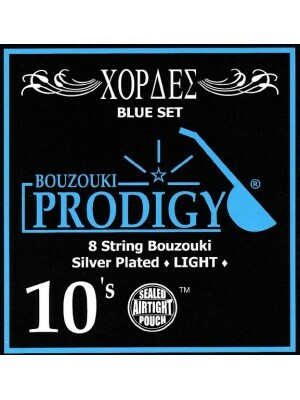 BLUE SET LIGHT GAUGE SET 8 STRING BOUZOUKI / SILVER PLATED WOUND "Acoustic or ..
Prodigy m8 Bouzouki Pickup Humbucker with reversed wound coils. 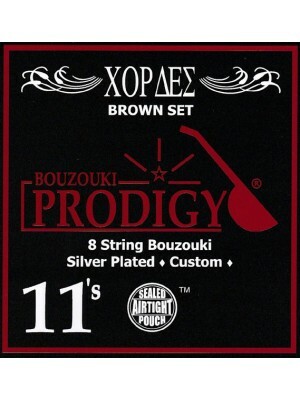 This is the most powerful active..
BROWN SET THECUSTOM SET 8 STRING BOUZOUKI / SILVER PLATED WOUND "Acoustic or Electric Bouzouki.. 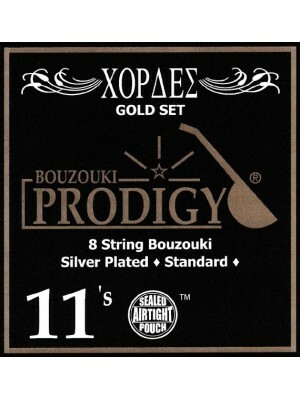 CREAM SET PHOSPHOR BRONZE LIGHT GAUGE SET 8 STRING BOUZOUKI PHOSPHOR BRONZE WOUND "Acoustic ..
GOLD SET THE STANDARD SET (Our Most Popular Set ) 8 STRING BOUZOUKI / SILVER PLATE..
GREEN SET 6 STRING BOUZOUKI / TZOURA STANDARD SET SILVER PLATED WOUND "Acoustic or Electric ..
LIME SET 6 STRING BAGLAMA PHOSPHOR BRONZE SET PHOSPHOR BRONZE WOUND "Acoustic or Electric Bag..
ORANGE SET 6 STRING BAGLAMA SILVER PLATED SET SILVER PLATED WOUND "Acoustic or Electric Bagla..